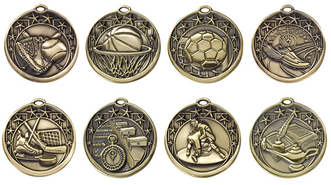 Our Medals range from $4.40 up to $6.10 including a thin neck drape. 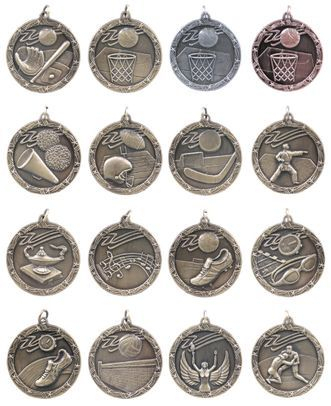 We also have a thin neck drape which goes good with the larger medals. 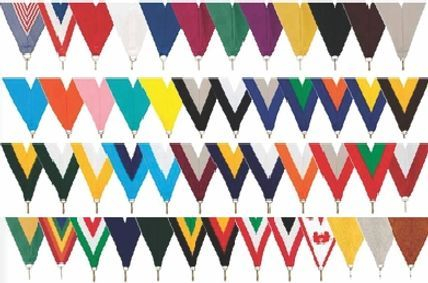 We have several different color neck drapes to choose from. 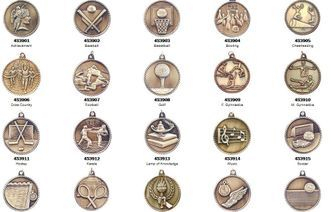 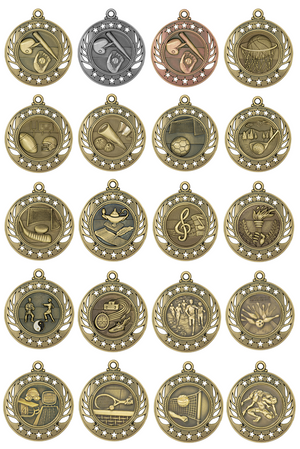 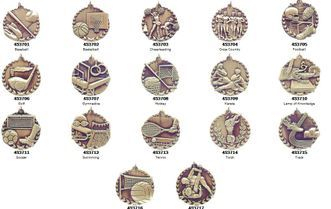 Most medals either come in Gold, Silver, or Bronze. 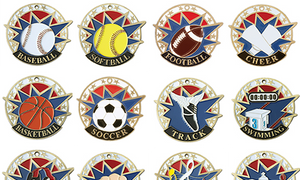 Majority of the time we put inch and a quarter stickers on the back with whatever information you'd like for an extra $0.85 each. 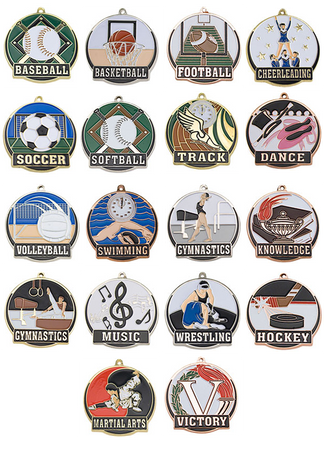 We also have plain medals in which we can make a colored logo of your choosing and put in the middle.